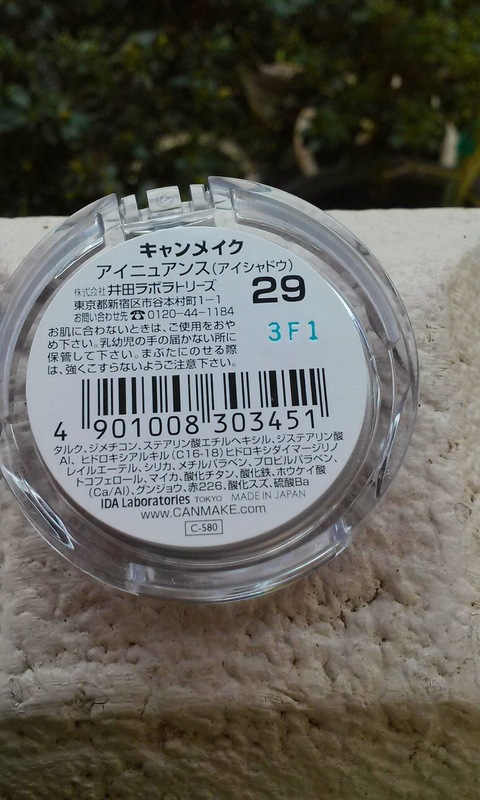 Canmake is a Japanese brand and I have also never tried anything from this line. 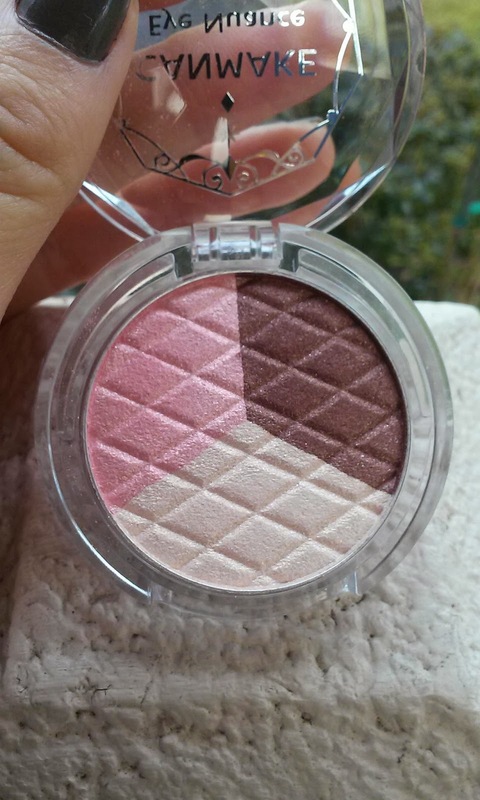 I was looking for a softer/sweet eye shadows for my upcoming Vegas trip to use and the colors (and color name of course) of this trio seemed perfect! And it just looked so lovely together. It is quite a small compact but I actually like the size so it isn't so bulky. The colors aren't too glittery, but they do have shimmer to them. I don't have much knowledge on eye shadows since I hardly wear them, but I like the shades of these and think they will work well together for a softer smokey eye with a hint of girly-ness from the pink. The texture of these are very soft and buttery and are quite pigmented. I haven't tried them on my eyes yet but I think they'd last quite long even without a primer, especially the brown color (there was still product on my hand after I wiped off all three of them to see how they came off). 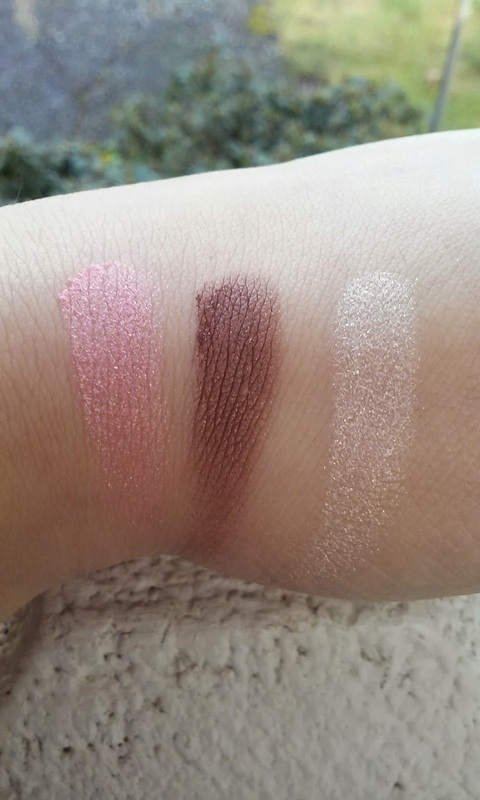 I was inspired to get this particular trio because of UD Naked 3 palette (but since I don't wear eye shadows, I know I wouldn't have really gotten use out if it!). I loved the rosey gold tone throughout that palette and when I saw these particular colors, I thought it was perfect to get my rosey fix! 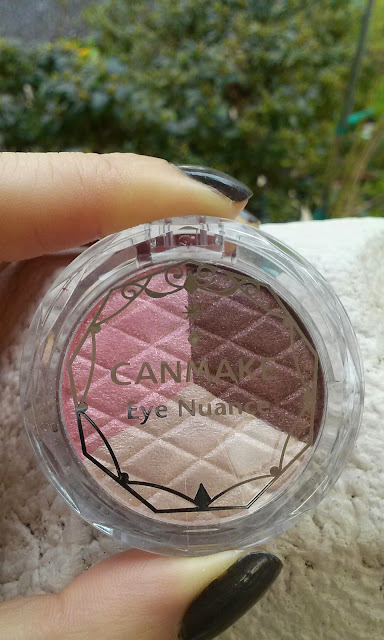 I am extremely happy I decided to get this eyeshadow and can't wait to try them out! Have you tried any Canmake products? Are you loving the rose/gold eye shadow colors too?! Thanks! I just checked out your blog and like it too ! !